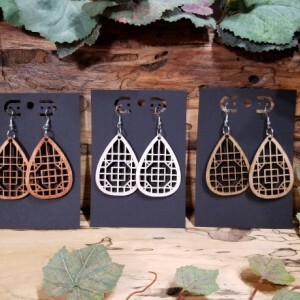 Available in Natural, Brown or Lt Red Stain. 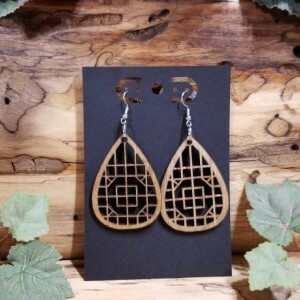 These beautiful, eye catching earrings are handmade and laser cut from craft wood. 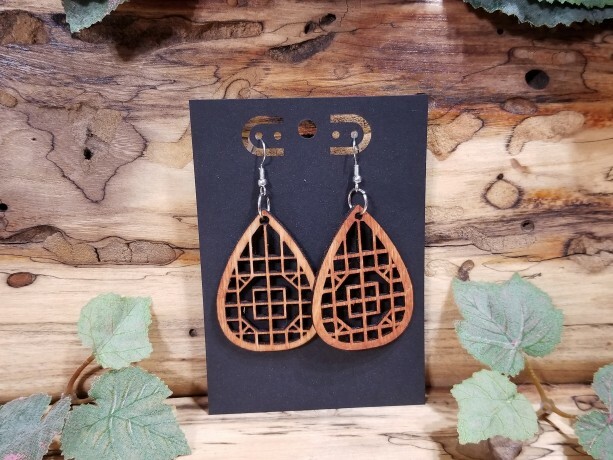 They make a great addition to your jewelry collection or make a great gift. 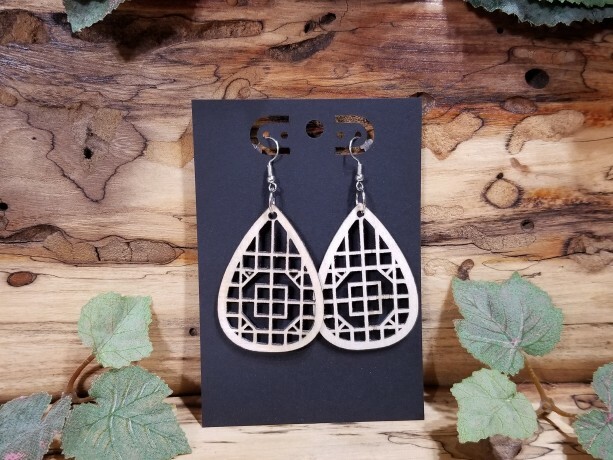 Price is for 1 pair. 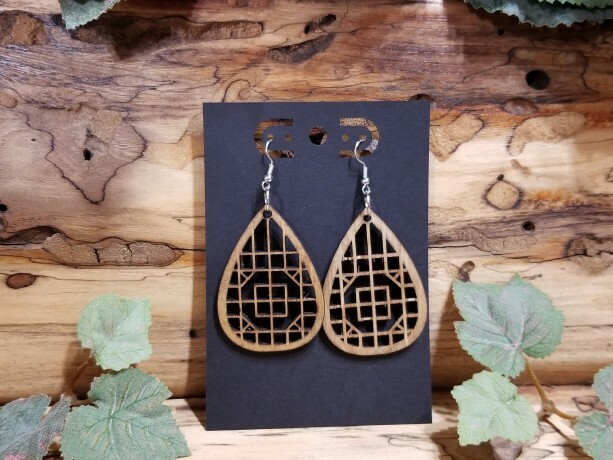 Each pair measures: Length 50mm, Drop Length 70mm, Width 36mm These laser cut wood jewelry are made from real wood and need to be treated with care and should not be submerged in water. 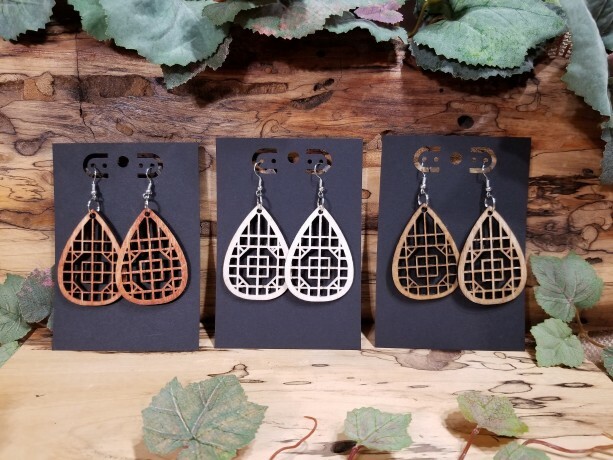 Each pair of earrings are hand-stained, so each item may vary slightly from the pictures in the listing. 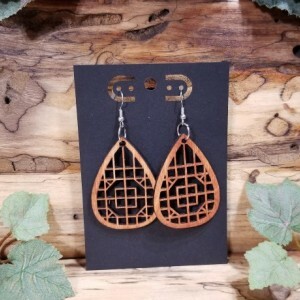 There may be small imperfections that are intended to add character to the item.